As a writing trainer for dozens of the nation’s top law firms, I’ve learned first-hand where summer associates go wrong and how to help them succeed. Despite the vagaries of the legal market, the basics haven’t changed: The partners want you to succeed. You wouldn’t have been hired unless you had the legal skills to handle your projects this summer. And unlike the economy, the way you write is entirely within your control. In this iPhone age, supervisors often forget to relay key information. Avoid such misconnects by getting answers to these five questions before you start: (1) What format do you want? (2) How long should the final document be? (3) How much time should I spend? (4) Can you point me to a document I can use as a model? and (5) What will you do with my project after I submit it? 3. Cover your . . . bases. Each time you get an assignment, send your supervisor an e-mail summing up your understanding of the project. Attorneys are text people, so seeing your write-up might help your supervisor steer you onto the right track before it’s too late. 4. Come out of your shell. For many summer associates, the anxiety they feel about the legal market makes them want to hide under a table. Avoid this trap. In fact, after you’ve worked on a project for several hours, call or e-mail your supervisor to explain where things stand and what questions remain. 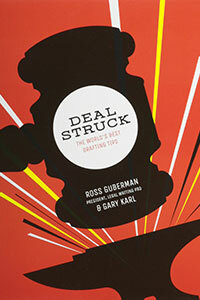 You’ll enjoy the interaction, and you’ll likely get excellent advice as well. 5. Get down to brass tacks. If you feel overwhelmed by a project, turn your computer off and take out a piece of paper. Write—by hand—four sentences about whatever issue you need to address. Your writer’s block will disappear—and your big-picture structure will appear in its place. Sure, partners have their individual writing quirks. But resist the temptation to throw up your hands and say, “They can’t agree, so why bother?” Partners may have different styles on the margins, but they all value the same core writing traits. As I travel the country, I hear four criticisms again and again: (1) The sentences are too long, (2) many phrases could be cut to one word or none, (3) too many sentences are in the passive voice, and (4) the diction is too lofty or pretentious. 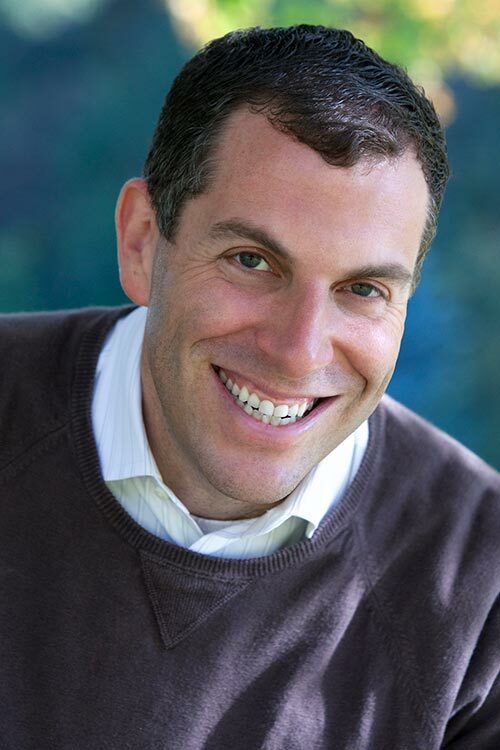 If you focus on these Big Four, your work product will shine. Summers often stuff their drafts with their newfound legal lexicon. 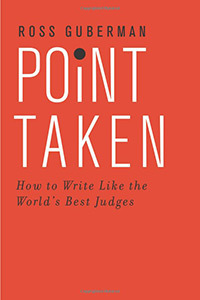 But you don’t want to produce a parody of legal writing—lots of “heretofores,” “ipso factos,” and “well-settled threshold principles”—that obscures your practical analysis and persuasive prose. If you try to impress partners with words and phrases that are new to you but all too familiar to them, you’ll become the summer associate version of the law school applicant who writes an essay on the pros and cons of The Common Law. In drafting memos and letters, avoid too much “on the one hand, on the other hand” navel gazing. Also avoid announcing that many courts or agencies have addressed an issue, summarizing what each one said, and then concluding the issue is complicated. If nothing else, explain why things might go one way or another, even if you’re not sure which way will prevail. Block out time to cut needless words, phrases, and constructions. In my own programs, I suggest 30 productive cuts such as redundant adverbs and “there is” phrases—and those are just two of the ways we lawyers are wordy. If you’re stuck, try to cut one word in every sentence. You’ll be amazed at how often you spot embarrassing mistakes and awkward phrases if you read a draft aloud. A good rule of thumb: If you have trouble breathing when you read a sentence, it’s too long. Break the sentence in two. Apply abstract standards to concrete situations. Or look away from your computer and talk your way through your point until you can say it in one breath. 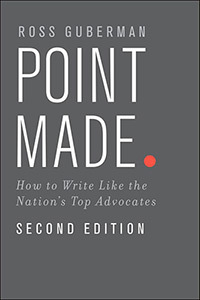 The President of Legal Writing Pro and an adjunct professor at George Washington University Law School, Ross Guberman is the author of The Attorney Toolkit and of Point Made: How to Write Like the Nation’s Top Advocates. He can be reached at ross@legalwritingpro.com.